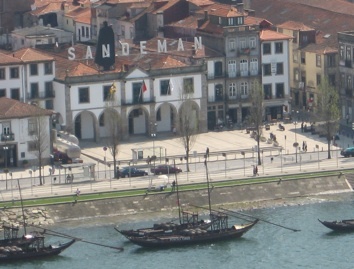 Port lodges – Calem, Croft, Sandeman, Fonseca and more – sit proudly, overlooking the barcos rabelos that once fed them with barrels of wine from up in the Douro Valley vineyards. 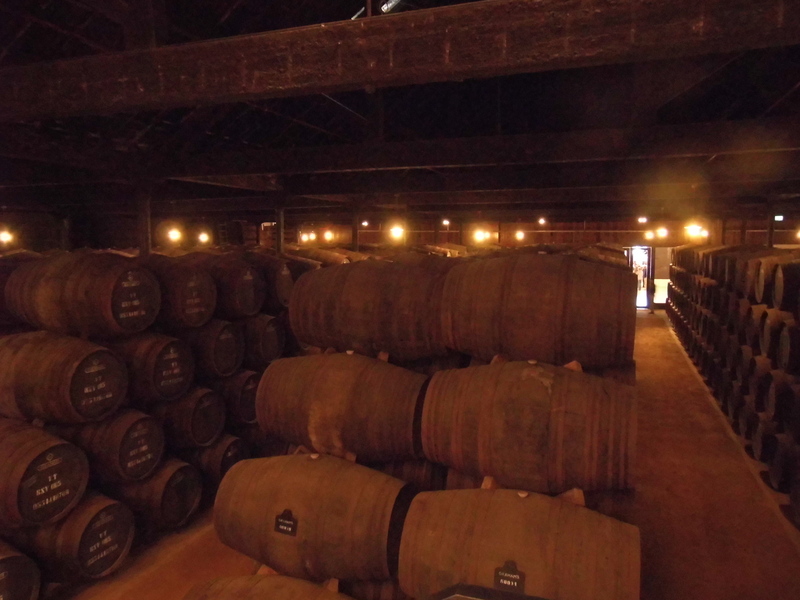 After the grapes are trodden – often still by foot – they are swiftly barrelled before too much sugar turns to alcohol thereby giving port its sweet flavour; brandy is then added to top up the alcohol to 20%. 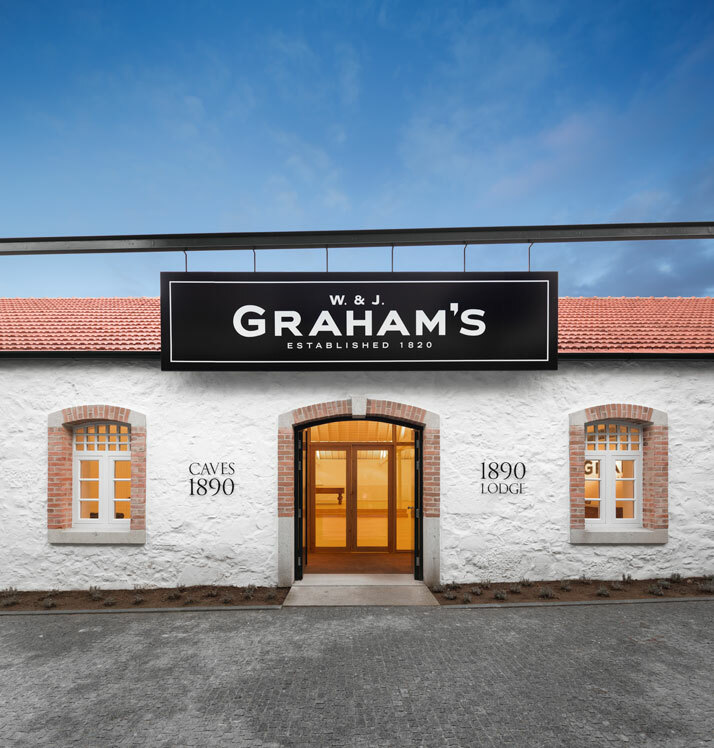 Set slightly away from its competitors on a hilltop perch with dramatic views of the river and two cities is Graham’s. 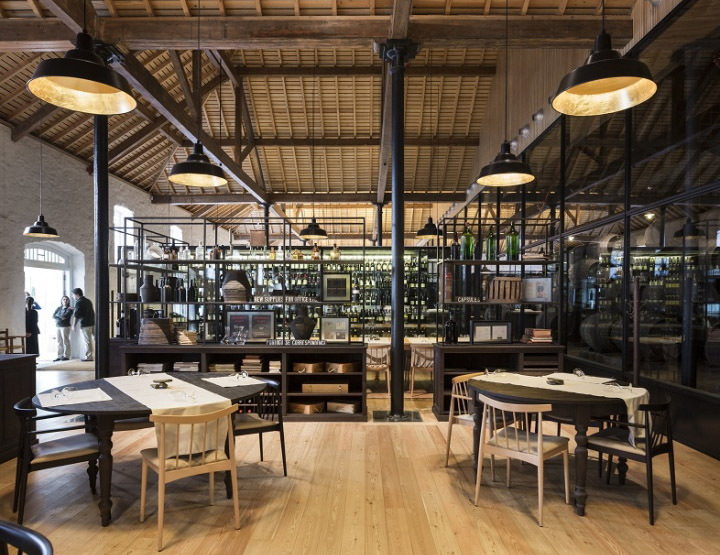 Owned by the Symington family (Cockburn, Warre’s, Dow’s, Smith Woodhouse, Quinta do Vesuvio, Quinta de Roriz, Blandy’s Madeira, Douro DOC) and dating back to 1820, it offers a refined port lodge experience in its recently unveiled, multi-million-euro renovated museum and cellars. 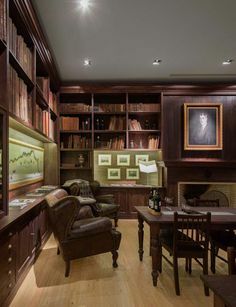 I was shown around the gleaming, white museum by a young and enthusiastic guide Filipe, who pointed out Graham family heirlooms, old letters in glass cases and explained the family tree (Scottish-born Andrew Symington met William and John Graham in 1882 when he came to work for their company. 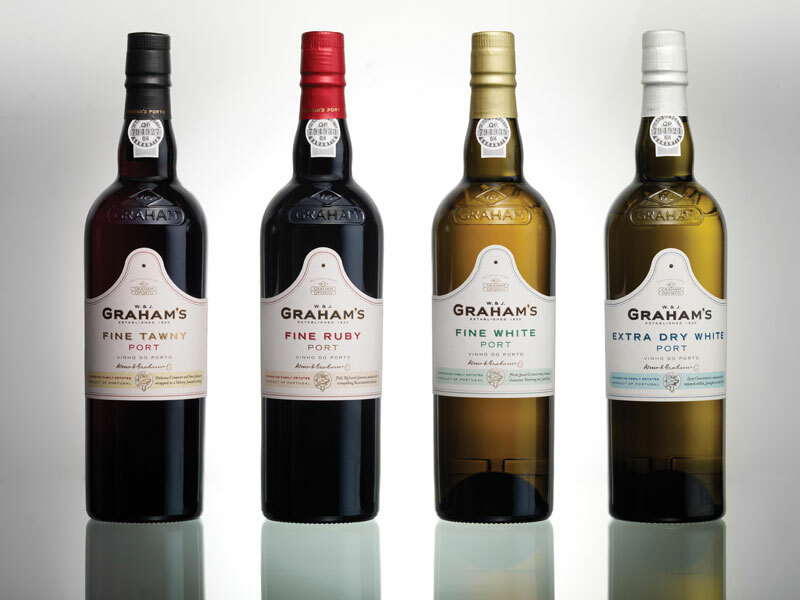 Today Graham’s is still run by five male Symington cousins – this remains a patriarchal industry). 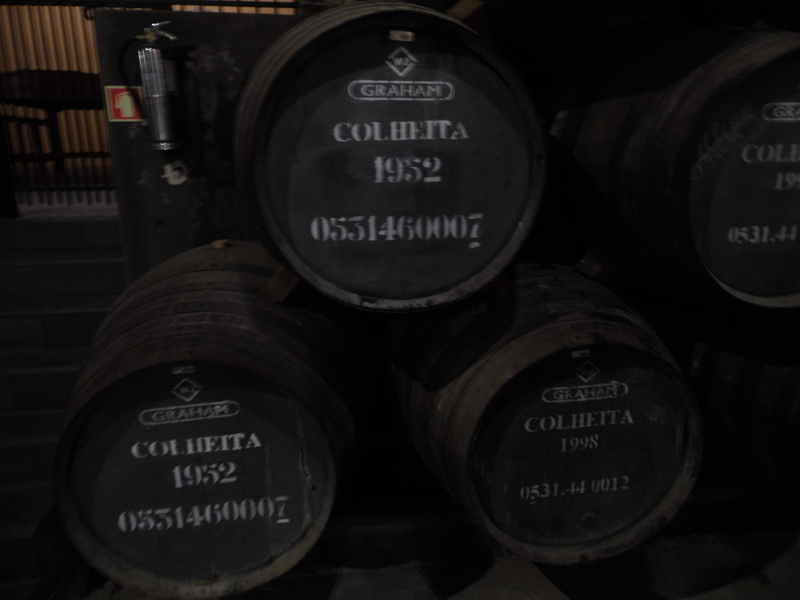 We then headed down to the cellars, where my eyes adjusted to pick out the thousands of oak barrels, some of them dating back to Graham’s earliest years, others containing priceless vintages and a couple of 1952 “pipes” whose wine was bottled and given to the Queen for her Diamond Jubilee celebrations. 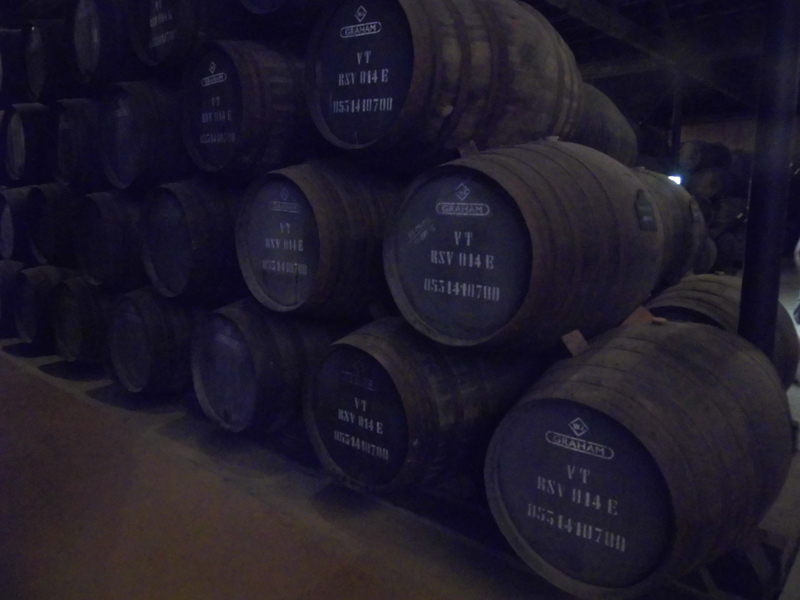 Each oak cask holds 550 litres of port and many are over 100 years old, tended to by expert coopers who have worked for Graham’s their entire working lives. 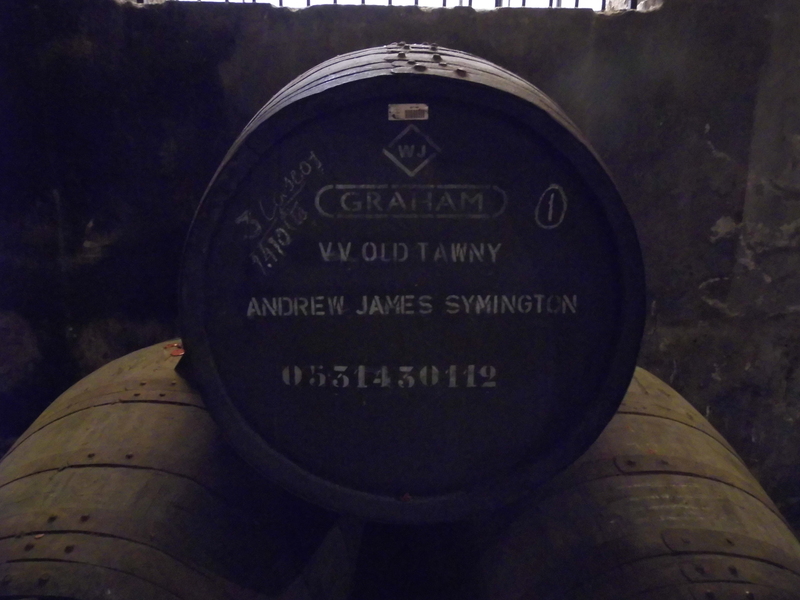 After a tour of the cellars, it was up to the tasting room to try the young, Six Grapes ruby (aged in vast tanks, preserving the red, grape colour), 10-, 20- and 30-year-old tawnys (aged in wooden barrels, giving a honey hue), and several vintage ports in the handsome private vintage room. 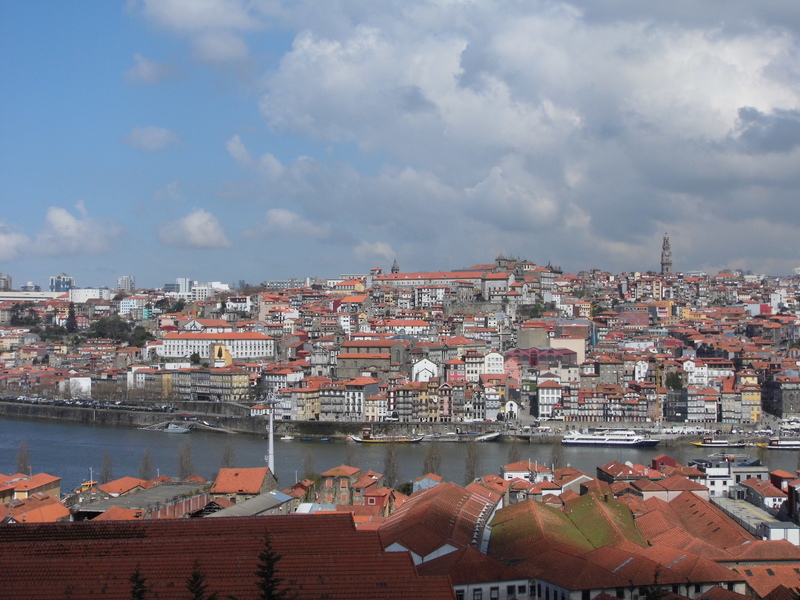 Then into the shop to stock up on bottles to take home, and the elegant and much-lauded dining room – Vinum – for some tapas to soak up all that alcohol while gazing at the sun-kissed river below.